Love Long Beach and food? Click here to scroll through the archives. Photos courtesy of Plant Power Fast Food. The vegan scene in Long Beach is becoming unparalleled to anywhere else in the Los Angeles region. Enter a new phase of veganism: fast food served through a drive-thru. That’s right. Plant Power Fast Food, which opened its flagship location in San Diego two years ago, is opening a location in Long Beach on September 1 at Clark and Pacific Coast Highway—and hopes to bring it cult-like crowds it has garnered down south. And when it comes to the food, they are aiming for a purely Californian palate. Vegan milkshakes. Chili cheese fries. Buffalo chicken. Burgers. The whole nine yards. All plant-based, no animal products included (outside of borrowing their name). CEO Mitch Wallis is no stranger to the concept, having opened up Evolution Fast Food, SoCal’s first vegan fast-food restaurant, in 2009. 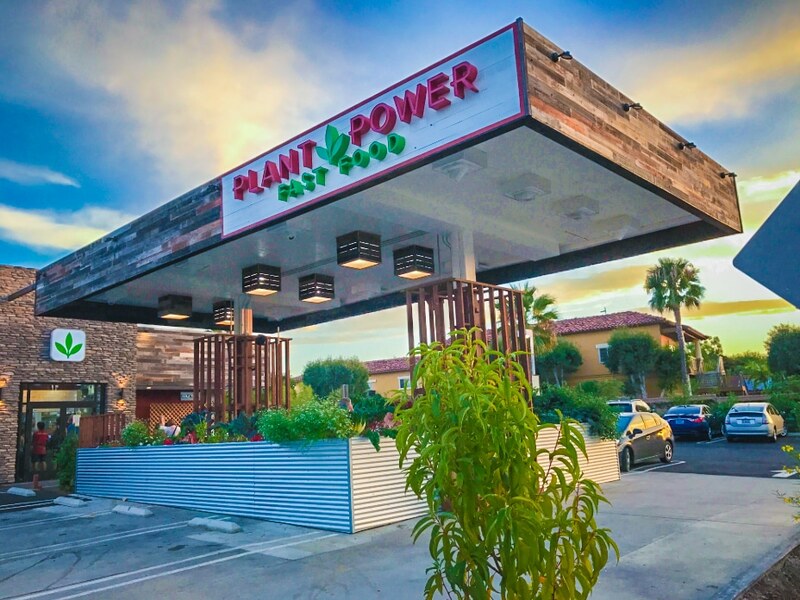 Plant Power has two existing locations—one in San Diego, another in Encinitas—with plans to open up in Redlands by this June and Long Beach by September. It will take over the northwest corner of Clark and Pacific Coast Hwy. in the space that is now home to the shuttered University Burger.